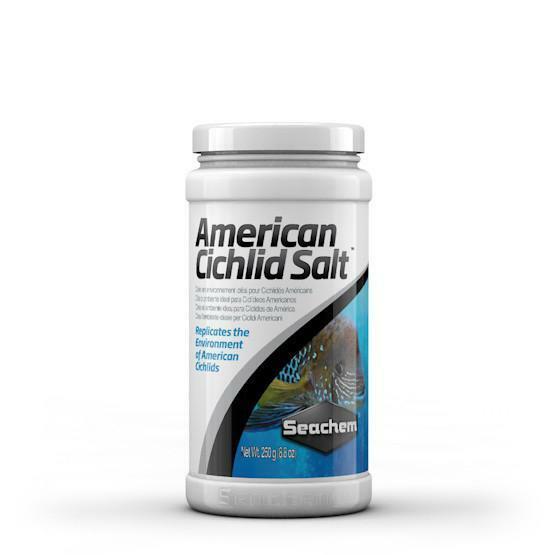 American Cichlid Salt is formulated so that dosages vary depending on the species’ origin and need only be added when setting up an aquarium or with water changes. All doses given for 110 L (30 US gallons). SOUTH AMERICAN: Use 2.5 g (1/2 teaspoon). CENTRAL AMERICAN: Use 1.25 g (1/4 teaspoon).